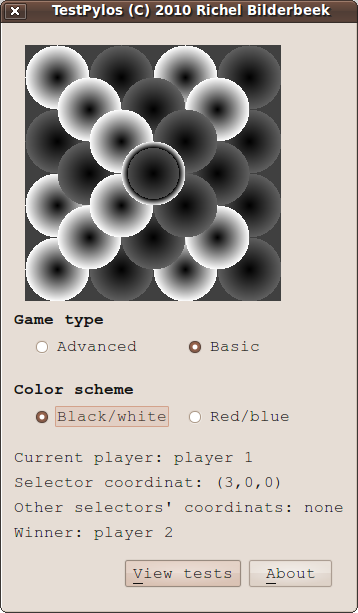 TestPylos is a tool to test the Pylos (also called 'Pyraos') and PylosWidget classes. 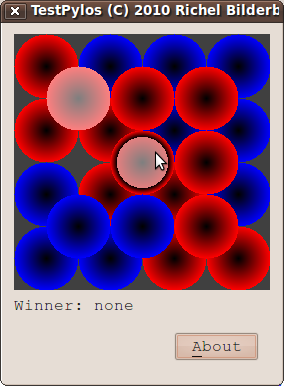 TestPylos was the start of my Pylos game. 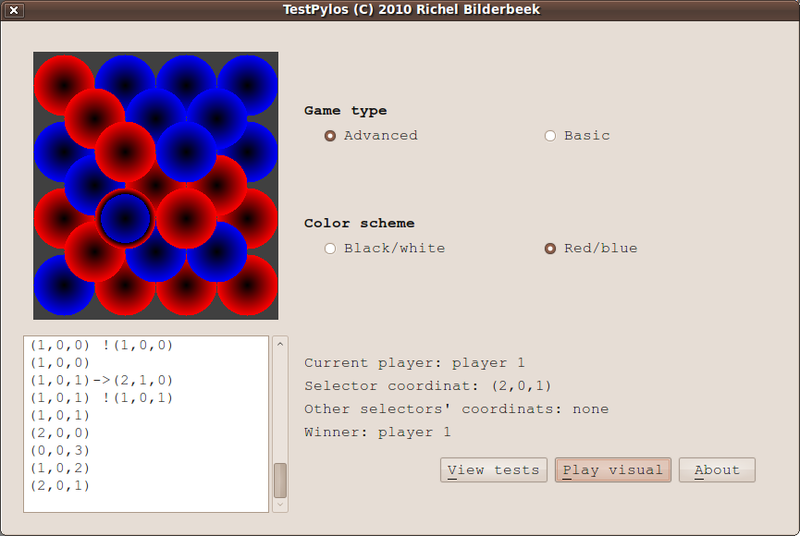 TestPylos is programmed in C++ using the IDE Qt Creator. 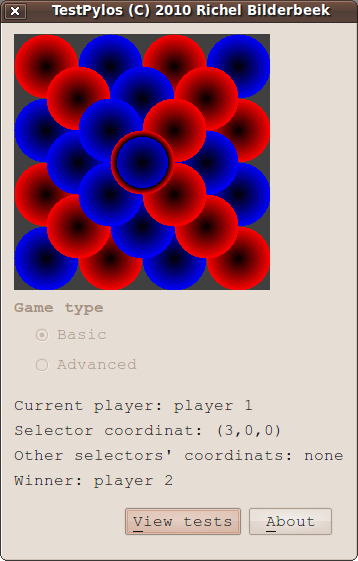 It uses the Boost, Qt and STL libraries.